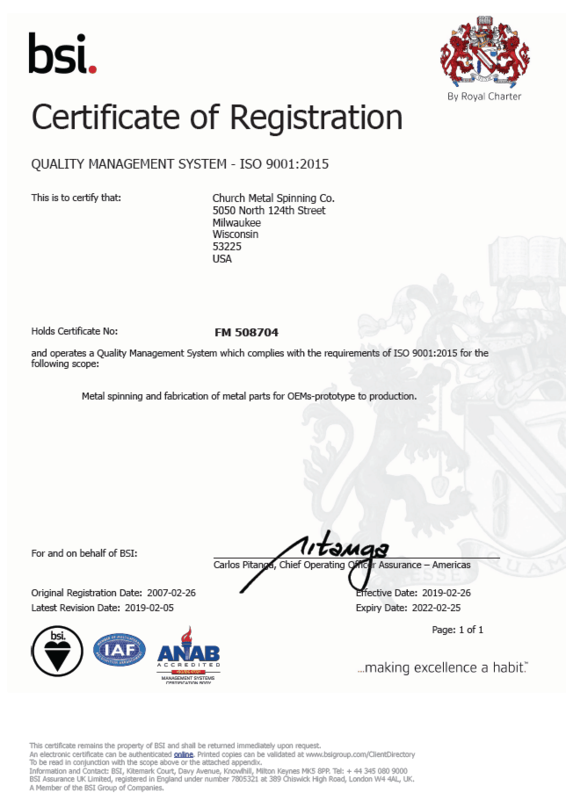 Church Metal works as a business partner providing customers with parts to specification and on time with continual improvement to our processes. We use our Quality System to help us serve our customer requirements and to continuously improve our business. An external auditor performs quarterly audits. Gages are certified to NIST. 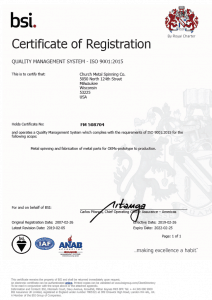 Orders are checked against Church Metal records to confirm current revision level. In process and final inspections are completed to ensure the production process is proceeding as planned and to provide feedback to the manufacturing process. Records of material’s used are maintained for each job completed.